Percy Grainger and Henry Cowell: BFFs? I was surprised when I first started reading about the friendship between Henry Cowell and Percy Grainger. My understanding of Cowell was that he was an abrasive, noisy ultra-modernist, while Grainger was a pleasant, folksongy writer of band music. It seemed like these men had nothing in common. I was surprised to learn that they had a remarkable amount in common. To begin with, both had a reputation for their treatment of the piano. Cowell’s for his use of extended technique, and Grainger for his wild virtuosity. Both were considered geniuses, each with a deep interest in researching and analyzing music of other cultures. 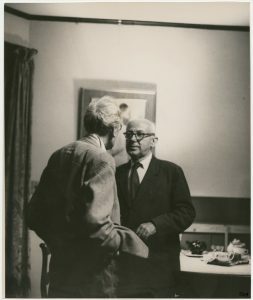 Both men often taught classes or guest lectured, which is how they ended up meeting each other. Thanks to Grainger’s pressure on the Prison board, and for sponsoring Cowell’s parole, Cowell was released from prison in 1940 and moved to Grainger’s house in the Cook Islands. Once there, it was Cowell’s job to preserve Grainger’s archive of wax cylinders, scores, letters, manuscripts, pictures, drawings, and writings. During this time, Cowell was also experimenting with composition, and played with Grainger’s massive collection of exotic folk instruments. Because of financial strains, Cowell’s employment was mutually terminated in 1941. The two remained friends, occasionally exchanging letters until Grainger’s death in 1961. Robinson, Suzanne. 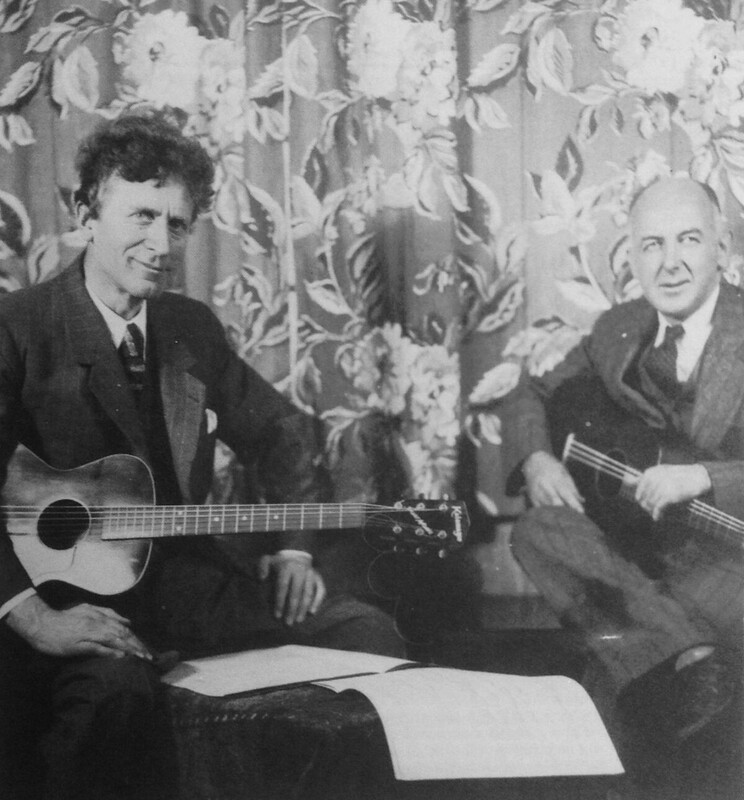 “Percy Grainger and Henry Cowell: Concurrences Between Two “Hyper-Moderns”.” The Musical Quarterly 94, no. 3 (2011): 278-324. http://www.jstor.org/stable/41289209. This entry was posted in Sam Carlson and tagged Henry Cowell, Percy Grainger by Sam. Bookmark the permalink.